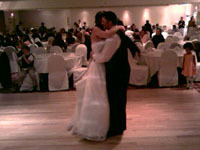 Music Linc has been providing professional customized disc jockey entertainment since 1996. Our experienced entertainers come fully equipped with an all digital sound system, elaborate lighting effects, and an extensive music library spanning several decades and genres. Our disc jockey services include background music, dance music, and a skilled DJ to be the master of ceremonies for all announcements and event direction. With several years of experience DJing for venues and special events, we have the knowledge and expertise it takes to customize any event and make it successful! We also offer the option to add karaoke to any disc jockey event at no additional cost! 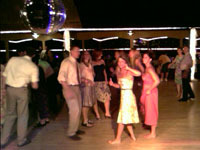 Our disc jockey entertainment is customized to each of our client's individual specifications so every event is truly unique! We offer online planning and a personal consultation with the DJ prior to each event to assure that every last detail is followed. Additionally, our experienced entertainers are skilled at reading a crowd and can improvise to meet the changing needs of an event in real time. We will travel to any location within our service area! 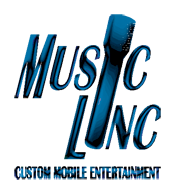 Music Linc is based in Lincoln, NE and services the entire Eastern half of Nebraska along with parts of Western Iowa and Northern Kansas. We travel to these cities and all surrounding communities!